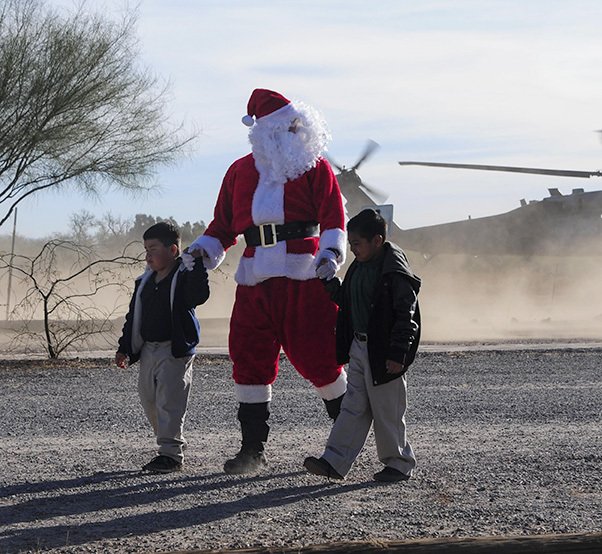 Santa Claus holds hands with students after landing in an HH-60G Pave Hawk during the Santa’s in Blue event at San Xavier Mission School in Tucson, Ariz., Dec. 13, 2016. 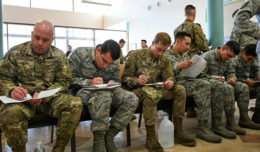 This year, Santa delivered gifts donated by D-M Airmen to more than 1,000 students at four different schools in the Tucson area. 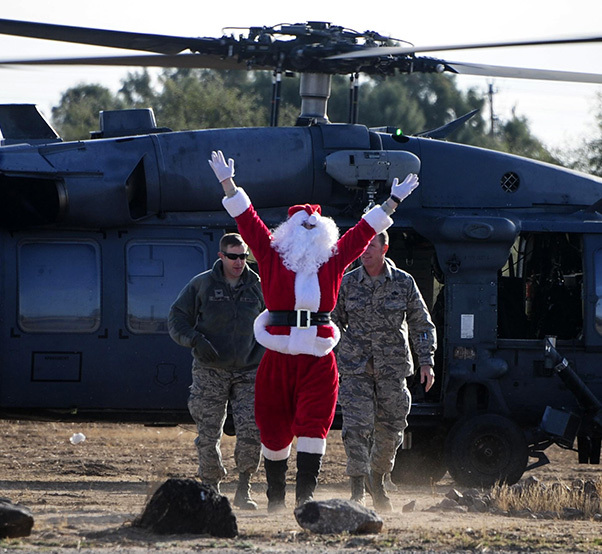 Santa Claus, Col. Scott Campbell, 355th Fighter Wing commander, and Chief Master Sgt. Jeremy Ravlin, 355th FW command chief, exit from an HH-60G Pave Hawk during the Santa’s in Blue event at San Xavier Mission School in Tucson, Ariz., Dec. 13, 2016. This year, Santa delivered gifts donated by D-M Airmen to more than 1,000 students at four different schools in the Tucson area. 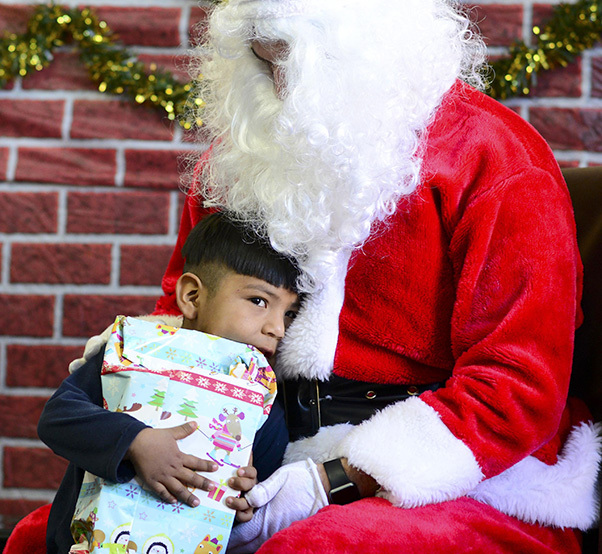 Santa Claus hugs a student during the Santa’s in Blue event at San Xavier Mission School in Tucson, Ariz., Dec. 13, 2016. 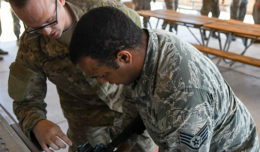 This year, Santa delivered gifts donated by D-M Airmen to more than 1,000 students at four different schools in the Tucson area.